Abortion has remained one of the most volatile and polarizing issues in the United States for over four decades. Americans are more divided today than ever over abortion, and this debate colors the political, economic, and social dynamics of the country. This book provides a balanced, clear-eyed overview of the abortion debate, including the perspectives of both the pro-life and pro-choice movements. It covers the history of the debate from colonial times to the present, the mobilization of mass movements around the issue, the ways it is understood by ordinary Americans, the impact it has had on US political development, and the differences between the abortion conflict in the US and the rest of the world. 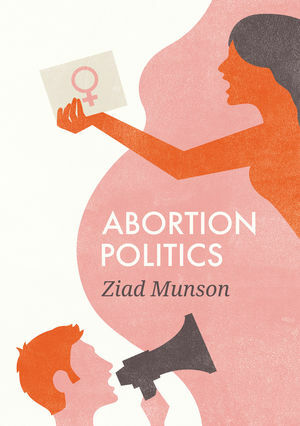 Throughout these discussions, Ziad Munson demonstrates how the meaning of abortion has shifted to reflect the changing anxieties and cultural divides which it has come to represent. Abortion Politics is an invaluable companion for exploring the abortion issue and what it has to say about American society, as well as the dramatic changes in public understanding of women’s rights, medicine, religion, and partisanship.